Sometimes, when dear friends or family members are welcoming a new little bundle into their lives, you want to be able to shower them with something really special and unique. Particularly if the new baby is a second or third child, you may wish to steer well clear of the ole baby-romper-wraped-in-a-muslin-wrap gift idea and get them something that can be both a nursery decoration and an heirloom. 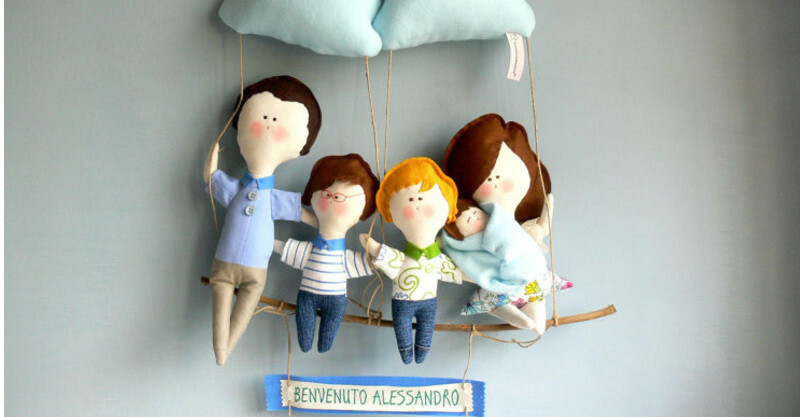 Etsy seller Cromanticamente creates the most beautiful family mementos and new baby gifts. Their personalised family portrait dolls are like nothing I’ve ever seen. Utterly adorable and handmade to order, each member of the family is created from organic cotton, with hand-stitched facial features and cheeks tinted with water-colour. Since these dolls are entirely customisable, Cromanticamente request that you send them a number of details to make the doll family as recognisable as possible. Each doll family swings gently from a cloud, or multiple clouds for larger families, and even the cloud colour is customisable to fit in with your nursery! 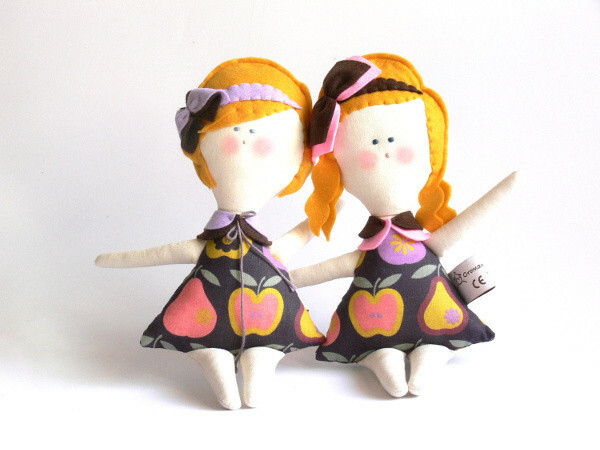 Cromanticamente also make lovely, child friendly rag dolls – the perfect gift for an older sibling. These can also be customised to look like the child they are being gifted to. All the dolls are shipped from Italy. Being made to order and then shipped, you can expect to wait up to a month for your dolls to arrive. 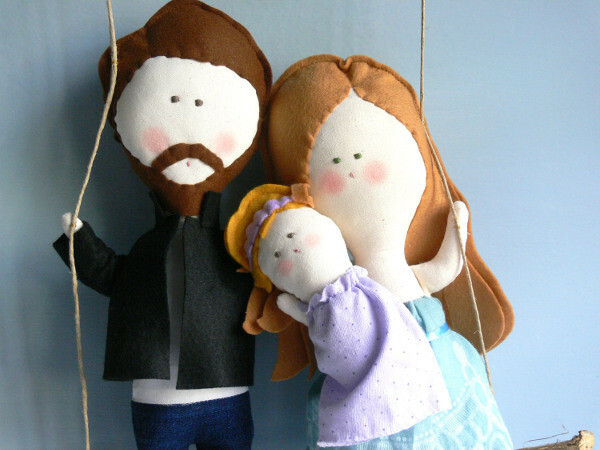 Personalised family portrait dolls cost from $110 and child-friendly cotton dolls from $55.